We know that whenever we create a new project in Angular, it generates a lot of files and folders. 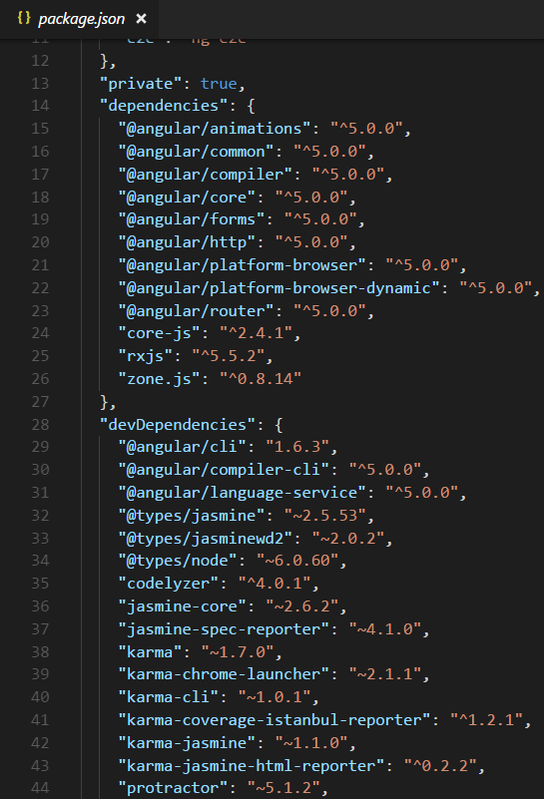 So, through this blog, I explained the folder structure of Angular 5. 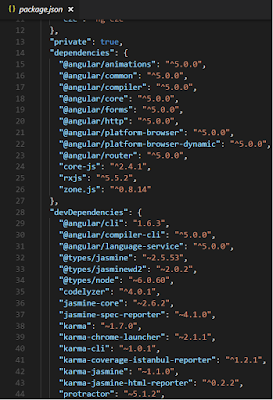 We know that whenever we create a new project in Angular, it generates a lot of files and folders. 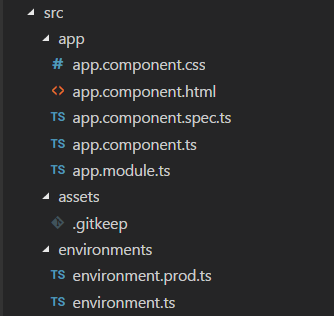 So, through this blog, I will explain the folder structure of Angular 5. When we create an Angular project, our application's structure looks like this. e2e stands for "end to end", this is the place where we can write the end to end test. The end to end test is basically an automated test that simulates a real user. So, we can write code to launch our browser. Navigate to the home page of our application, then click a few links etc. are the example of end to end testing. In this folder, you can find all the third party libraries on which the application may depend. This folder is purely for development. Which contains all the “modules” and “components” of your application. Every application has at least one “module” and one “component”. Where we can store static assets of our application for example images, icons etc. favicon.ico is an icon file which displays on the browser. index.html file contains our Angular application. Here, you can not find any reference to CSS or other JS files. All other pages are dynamically inserted into the page. Browser Polyfills these are applied before loading zone.js and are sorted by the browser. Application imports files imported after zone.js file, they should be loaded before your main file. editorconfig file is used when you are working in a team environment. If you are working in a team environment then make sure that all developers of a team use the same setting in this file. package.json file is a standard file. Every node and Angular project contain this file. Basically, this file contains all information like name of the project, versions information, dependencies and dev-dependencies settings. tslint.json file checks your TS code for readability, maintainability and functionality errors.